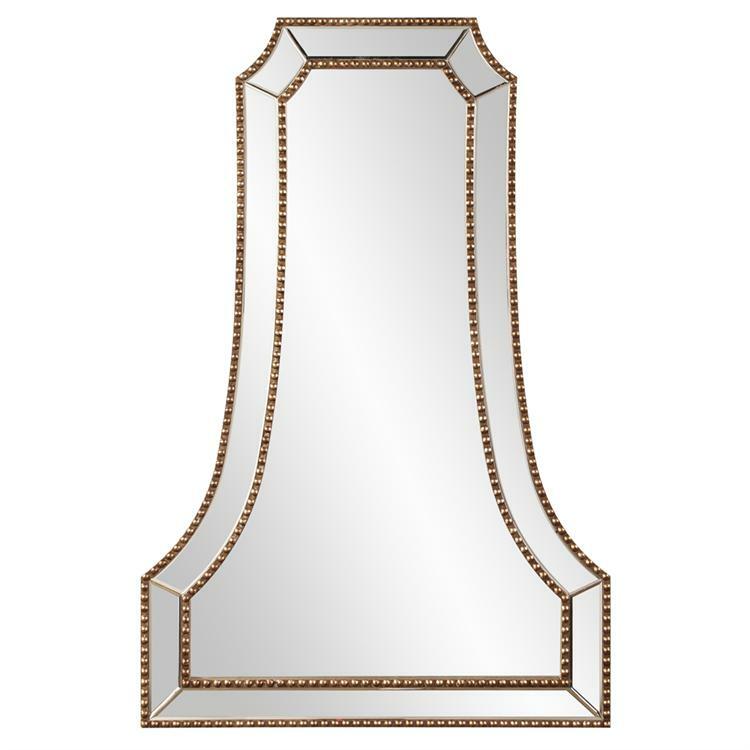 The Charlotte Mirror is a graceful piece ready to adorn any wall with all of its beauty. It features a bell shape with a mirrored frame. The frame is then trimmed in a gold beaded border. The panels used on the mirrored frame are beveled adding to its style and beauty. This simple yet stunning piece would be a great addition to any design. Customizable for larger orders.